There are about 9,000 wineries in the United States. Almost half of the total (approximately 4,000) of those wineries have limited production of fewer than 1,000 cases. These small producers are sometimes called “garagiste.” The term “garagiste” originated in Bordeaux, France and referred to renegade producers in the mid-1990s who did not want to follow the strict rules of the region. Many of them made wine in their garages, hence the name, but today these “garagiste” producers around the world are producing some of the best wine in the world. But as small producers, how do their get their stories out? These are wines made of passion and can be hard to find. Many of them do not have tasting rooms. They sell direct to consumers and possibly to local restaurants and retail shops. And another way to find them is at the Garagiste Festival. The first Garagiste Festival was in Paso Robles in 2011. It was started by Doug Minnick and Stewart McLennan as “a way to shine a light on small lot, amazing wines that typically do not have tasting rooms,” explained Melanie Webber who handles the public relations and communications and has been working with Doug and Stewart since the beginning. Since 2011, there have been 18 festivals, seven in Paso Robles, six in Solvang, four in Los Angeles and one in Oakland. In May 2018, they are going to Sonoma for the first time. To participate in the Garagiste Festival, the winery must produce fewer than 1,500 cases of wine per year. At the recent Garagiste Festival in Solvang, the majority of producers I spoke with produce 100-500 cases of wine. Some of these producers work for larger wineries for their “day jobs” and others are focused exclusively on growing their small brands. These are not wines made by individuals who made millions in another industry first and are looking for a fun hobby. These are wines made of passion and here are some of the people who are doing that. Karen Steinwachs is the winemaker at Buttonwood Farm Winery and Vineyard in Santa Ynez. She and her late husband David had met in the high-tech industry but fell in love with wine and moved up to the Central Coast. In 2007, they started their own label and inspired by the idea of “from the sea coast to your table,” they named it Seagrape. Making Pinot Noir and Chardonnay from Sta. Rita Hills, as well as Grenache Rosé and Gewurztraminer, Steinwachs only produces 500 cases under the Seagrape label. Having her own label, she is able to try different techniques, such as stem inclusion, that she might not do at Buttonwood. 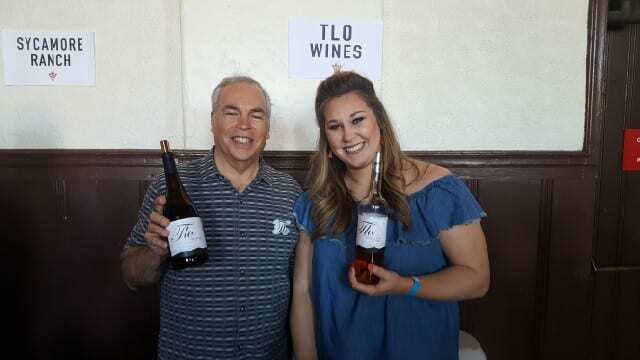 TLO is the Croatian name for terroir and was created by Andy Zaninovich, a table grape grower in the San Juaquin Valley. 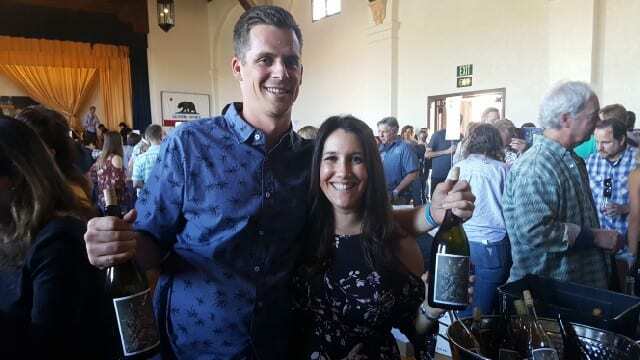 Based in Paso Robles, he started making wine in 2008 with wife Kathleen, son Adam and daughter Avery, sourcing fruit from Santa Barbara and Paso Robles. For her senior project at Cal Poly, Avery created all of the branding and they became a bonded and licensed winery in 2013, transitioning from a home wine producer to a “garagiste” producer. Sourcing all of their fruit from the Central Coast, they have access to diverse varieties and make everything from Pinot Noir, Grenache and Syrah to Tempranillo, Cabernet Sauvignon and Petite Sirah. Being a pilot is in Cris Carter’s blood. His father, grandfather and uncle were all pilots. Carter went to UC Davis to study chemistry, as well as flying. While he is a pilot by hobby, he took a wine course and decided that was the path he wanted to pursue. 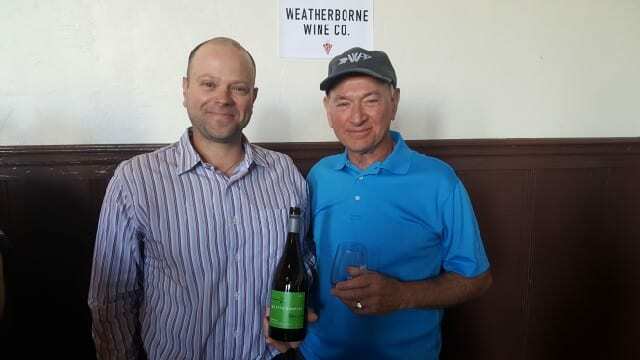 Honoring his flying roots, he named his winery Weatherborne. As Carter explained, the first thing a pilot does is look at the weather. Like flying, farming also focuses on the weather as each vintage offers something new. Carter started Weatherborne in 2012 and produces 200-400 cases from fruit from Sta. Rita Hills. Recently he purchased 30 acres in Anderson Valley in Mendocino where he will plant his own vineyard. Named after his maternal grandmother’s maiden name, who lived to 102, Alex Russan is the owner of a barrel selected Sherry label and a Spanish wine import company. On a quest to fully understand wine, Russan started Metrick Wines as a way to learn. He wants to understand the cause and effect of decisions and has found that for every answer he has gotten, he has five new questions. Producing Chardonnay from the Santa Maria Valley and Mourvedre from El Dorado, and soon Albarino and Sauvignon Blanc, Russan takes a minimalist approach to winemaking. 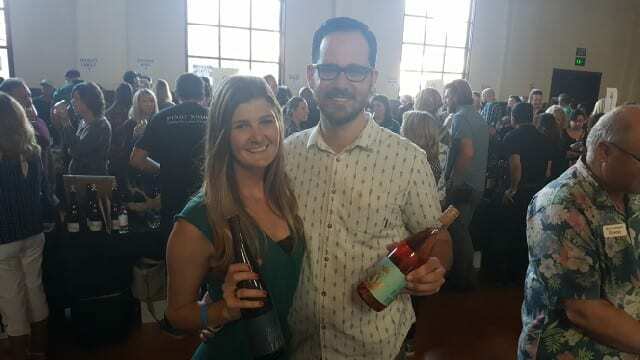 Napa-based March Wines was started in 2016 by Maura Christoffers (Mar) and Charley Johnson (Ch) with the idea to make wines that they love to drink. Maura studied at UC Davis and Charley studied at Cal Poly and they met working at Duckhorn in 2012. Today, Charly is the assistant winemaker at O’Brien Estate where they make March Wines. 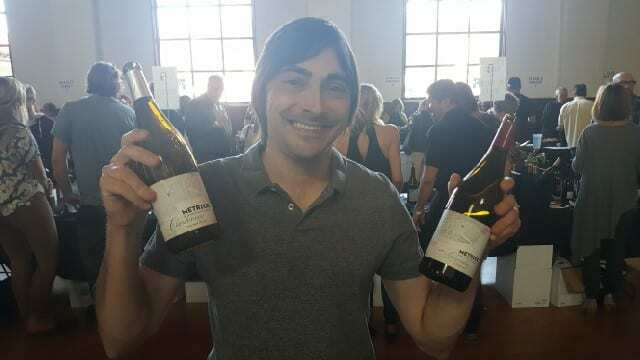 Christoffers was working at Miner but today focuses fully on March Wine where they produce 150 cases of Dry Riesling from the Santa Cruz Mountains and Rose of Pinot Noir from the Santa Lucia Highlands. 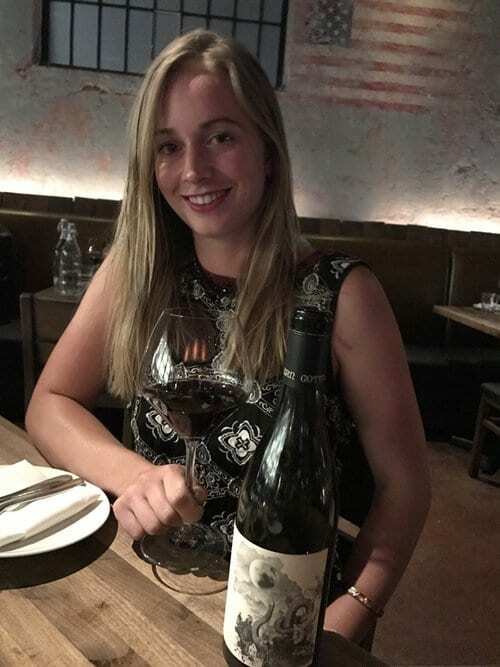 After studying Plant Business and French at Georgetown University, followed by Plant Science at UC Santa Cruz, Gretchen Voelcker moved to Santa Barbara where she is the assistant winemaker at Rideau Vineyard. 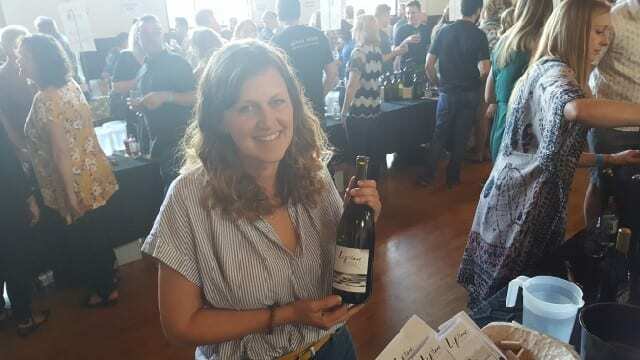 In 2014, she began tinkering on the side to make wines from her favorite grapes that she wants to drink and in 2017 relaunched under the label Luna Hart. Making 200-250 cases of wine, Voelcker specializes in small batch artisanal wines from the Santa Ynez Valley. The wines are unfiltered and unfined and consist of Cabernet Franc, Gruner Veltliner, Sauvignon Blanc, which sees skin contact, and Aurora, a white blend of Sauvignon Blanc, Viognier, Semillon and Roussanne. Garrett Gamache got his start working at wineries while a student at UC Santa Barbara. After college, he pursued his Ph.D. in Geology but only lasted a few months sitting behind a desk. He preferred to be outdoors and went to work for a vineyard management company. While he still works in vineyard management, Gamache launched Ground Truth in 2014. A geological term, “ground truth” is empirical evidence. Gamache is focused on producing single varietal wines sourced from sites that he farms, allowing him to manage the process from the dirt to the grape to the bottle to the glass. Using native yeasts and bottling unfiltered wine, Gamache expresses “ground truth” of the terroir. 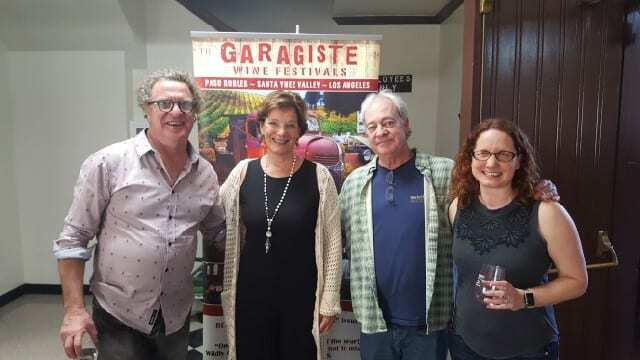 Garagiste co-founder Doug Minnick started making wine the same year the Garagiste Festival was created. Minnick and two friends were known as the “three stooges” so they named their wine after the Three Stooges movie “Hoi Polloi.” The hoi polloi are the common people, or the masses, and these three friends came to wine as wine drinkers, not millionaires who decided to buy a winery. Now in their eighth vintage, they purchase “the best fruit from the best vineyards,” according to Minnick, in Paso Robles, Santa Barbara and Sonoma. Minnick’s warning to home winemakers is to watch out because “the (wine) bug gets worse” and they too will become garagistes. Andres Ibarra has been working in the Santa Ynez Valley since 1980, beginning in the fields at Brander Winery and Vineyards. 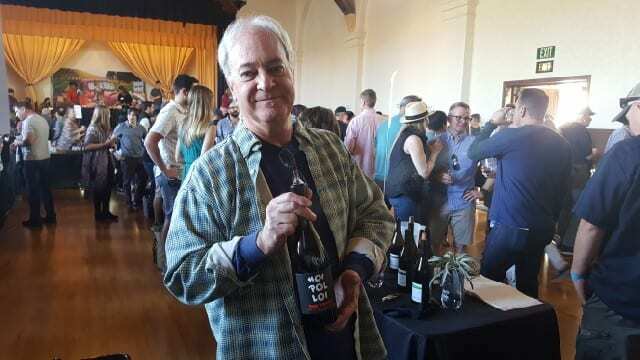 He began managing the 40-acre La Presa Vineyard in Solvang in 1985 and continues to today. 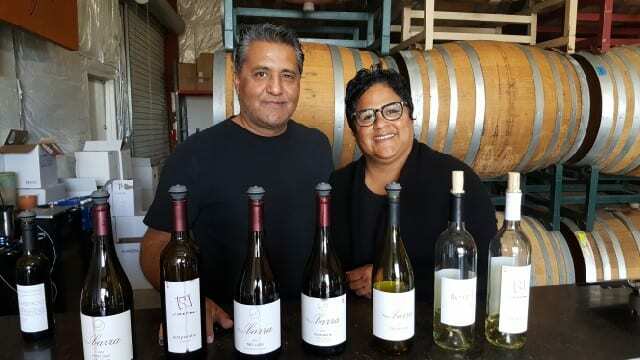 Ibarra learned winemaking at Santa Ynez Winery and went on to be the winemaker at Fess Parker in 1997. Learning from each of these experiences influenced his own label, Tierra y Vino, which he started in 2009 with his partner Caren Rideau. 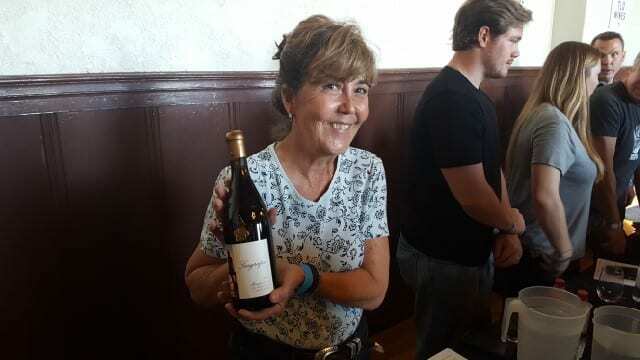 Sourcing fruit from La Presa Vineyard, Ibarrafocuses on wines, including Sauvignon Blanc, Albarino, Grenache and Tempranillo, with a beautiful mid-weight on the palate and the potential to age. This entry was posted in Wine and tagged Alex Russan, Alison Thomson, Andres Ibarra, Charley Johnson, Cris Carter, Doug Minnick, Garagiste, Garagiste Festival, Garrett Gamache, Gretchen Voelcker, Ground Truth Wines, Hoi Polloi Winery, Karen Steinwachs, L.A. Lepiane Wines, Luna Hart, March Wines, Maura Christoffers, Metrick Wines, Napa, Napa Valley Register, Paso Robles, Santa Ynez, Seagrape, Stewart McLennan, Tierra y Vino, TLO Wines, Weatherborne, Wine by Allison Levine.